This is the third part of a four part series on the final Skylab mission. Follow the link to Catch up on Part 1 and Part 2. 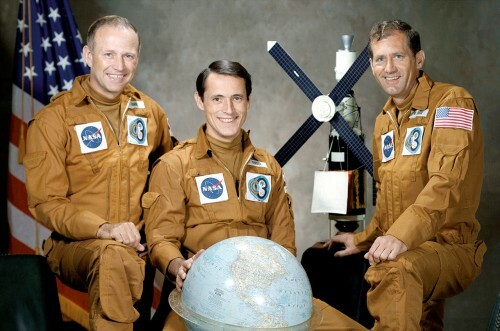 The crew of America’s final Skylab mission: Gerry Carr, Ed Gibson, and Bill Pogue. They were the first humans to spend New Year in space in 1973-74 (Credits: NASA). Forty years ago, in November 1973, NASA launched its third and final crew to the Skylab space station. As recounted in last week’s history articles, Commander Gerry Carr, Science Pilot Ed Gibson, and Pilot Bill Pogue were tasked to complete a mission of at least 60 days, open-ended to 84 days, either of which would produce a new world endurance record. The enormous success of Skylab’s first and second crews—who repaired and revived the crippled station, then went on to accomplish 150 percent of their science goals—imbued NASA with a false sense of confidence that it could fully load the final crew with an excessive amount of work. As circumstances would transpire, the experience of Carr, Gibson, and Pogue would teach the agency to regard long-duration spaceflight in a quite different manner to its earlier, shorter-duration missions. Already, space sickness had stricken Pogue within hours of arriving at Skylab, and within a few weeks the excessive workload began to take its toll on them all. The three men took a stoical outlook, trying to push on with their work and hope that circumstances would improve. They did not. It was time for Carr to make a stand. Having made it known prior to launch that his crew intended to take the activation of the workshop at a slow pace and ease their adaptation to the strange microgravity environment, on 6 December—two weeks into their mission—he spent several minutes explaining to Mission Control that the schedule was too full. His crew would not be expected to work for 16 hours a day, every day, for 84 days, on Earth, so it was unfair to expect it of them in space. There the issue rested for a time and little more was said during the last couple of weeks of the month. 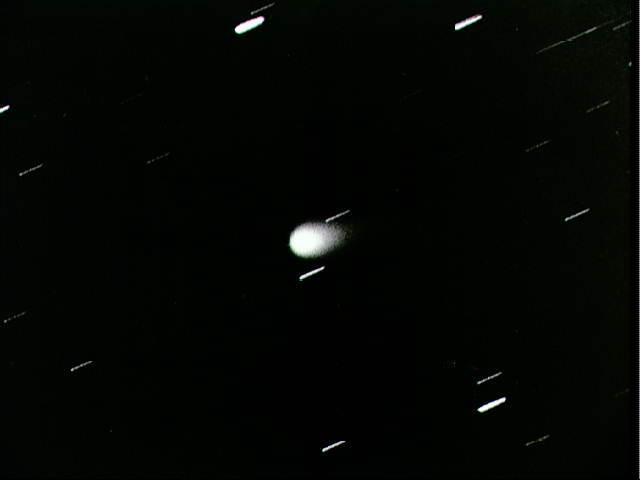 This image of Comet Kohoutek was acquired by a member of the final Skylab crew, 40 years ago (Credits: NASA). 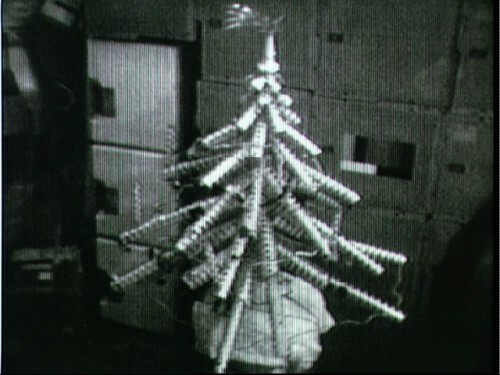 The makeshift Christmas tree built by Carr, Gibson, and Pogue from old food containers and packaging also included a long-tailed star at its tip: Comet Kohoutek (Credits: NASA). Next morning, 30 December, Houston came back with a list of recommendations. One was that the crew’s menial, routine chores would be put on a “shopping list” to be completed when time permitted during the course of the day. Moreover, the men would no longer be hassled during meal times and they would be given no major assignments after dinner in the evening. The experiments, however, which needed to be “hard-scheduled” to a particular time slot, would need to remain as they were. Fine, Carr replied, aware that this opening-up of the schedule had already taken much of the pressure off their shoulders. In fact, this schedule even allowed them to conjure some experiments suitable for television audiences on Earth. Several of these, including demonstrations of the behaviour of water in weightlessness, are still used today as part of classroom science experiments. From Mission Control’s perspective, Flight Director Neil Hutchinson admitted that there were indeed several serious scheduling and performance problems in the flight. Indeed, Harvard Business School would later publish a case study about Carr’s “strike” in space, detailing unrealistic expectations and miscommunication as part of a flawed management process. To this day, perhaps unfairly, the achievements of Carr’s crew are overwhelmed in the popular press by the unfortunate label that they were the first to stage a “mutiny” in space. In a sense, the over-performance of Al Bean’s team had contributed to the stress under which Carr, Gibson, and Pogue had worked for the first six weeks of their own mission. Years later, Bean would accept that NASA had failed to properly switch gears after his flight and appreciate that Carr and his men would be aloft for a much longer period of time. More detrimental was that Mission Control started Carr’s crew at the same point that Bean’s crew had reached at the end of their mission. At one stage, Chris Kraft called Bean and Pete Conrad to his office to discuss the issue. “Mission Control plans to lighten up on these guys,” Bean implored Kraft, “but they don’t ever do it. They have to lighten up and let these guys catch their breath!” Also aware of the problem was unflown astronaut Bob Crippen, who had led the ground-based Skylab Medical Experiments Altitude Test (SMEAT) a year earlier; he felt that Charles “Pete” Conrad’s crew had spent much of its time repairing Skylab, with relatively little time on the experiments, and Bean’s men had the advantage of a slow start, ramping up into a more aggressive final few weeks, when they were properly adapted to the new environment. Carr, Gibson, and Pogue were being literally burned out from the start. It was not a good philosophy for executing a long-duration space mission. As one of the team of capcoms for this flight, Crippen knew that the events of 28 December by no means reflected any kind of rebellion on Carr’s part; rather, they offered Mission Control a wake-up call to understand the problems that the astronauts faced. After the heart-to-heart, everything smoothed out and the final six weeks ran much more smoothly and pleasantly. The drive to achieve the highest possible performance from the crew was a hard-won lesson, Ed Gibson recounted, but it was a lesson which would have untold ramifications in the planning of future long-term missions, including those aboard today’s International Space Station.